Love Food Hate Waste estimate that the average UK household throws away £470 worth of food each year. This amount rises to £700 for a family with children. Imagine all of the other exciting things you could buy with this money! And just think about what all that wastage is doing to the environment… It’s time for you to start getting your groceries from Approved Food. Approved Food was established in 2009 by Dan Cluderay and is now the largest online retailer for surplus and short dated food and drinks. You can buy just about everything from their website from pasta to dishwashing liquid, herbs and spices, beer… even pet food. Approved Food don’t want to just sell food though, they want to educate the public on food labelling and the confusion that surrounds ‘use by’, ‘sell by’, ‘expiry’ and ‘best before’ dates. This will help prevent food entering the waste stream. Customers are encouraged to share recipes and ideas on the Facebook page and to follow #PerfectlyGood for more inspiration. Why is Approved Food so cheap? Approved Food say that they can save you 70% off your weekly shop and judging from the prices on the website, I believe them. You can get 12 cans of Tropical Red Bull for just £3.99 or 12 packs of Maggi instant noodles for £0.99 plus pages and pages of other bargains! The food is so cheap because the food is short dated or past its best before date, as well as stock that is surplus to a store’s requirements. 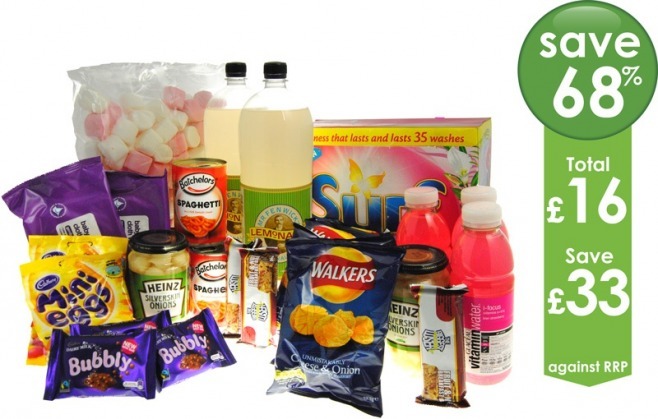 Approved Food is available to buy in large quantities and then pass the savings on to their customers. You will notice when you are browsing the product range that there are well-known brands for sale as well as some products where the brand is unidentifiable – these items generally come from large supermarket chains. All of the food for sale on Approved Food comes from trusted manufacturers, distributors and wholesalers. This ensures that the quality is not compromised and customers really are getting value for money. What is the difference between ‘best before’ and ‘use by’ dates? Foods that are passed their best before date are still safe to eat; it is just that the quality won’t be as good – maybe the texture or flavour will have changed. 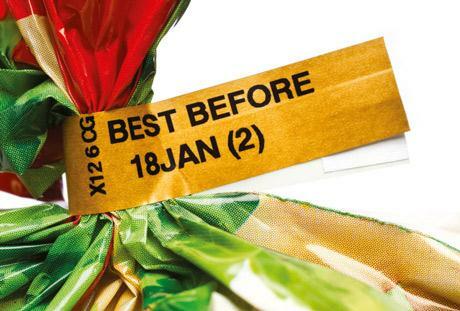 You will see best before dates on dried, tinned and baked goods. Fresh and frozen goods that go off quickly like meat, fish and prepared salads will have a use by date on them. This is because they are not safe to eat. Approved Food does not sell any food with a use by date on it. This sounds great… How do I order from Approved Food? It is really simple to start buying your groceries from Approved Food – you just need to register on the website. Once you have filled your shopping basket just by debit/credit card and wait for your food to arrive. You should expect it to get to you 2-3 days after it has been dispatched from the warehouse in Sheffield. Approved Food deliver all over the place – England, Ireland, Scotland, Wales… even other EU countries – so absolutely everyone can start saving. If you’re in England the delivery cost is £5.99 for 25kg but there are discounts available for multi-boxes. 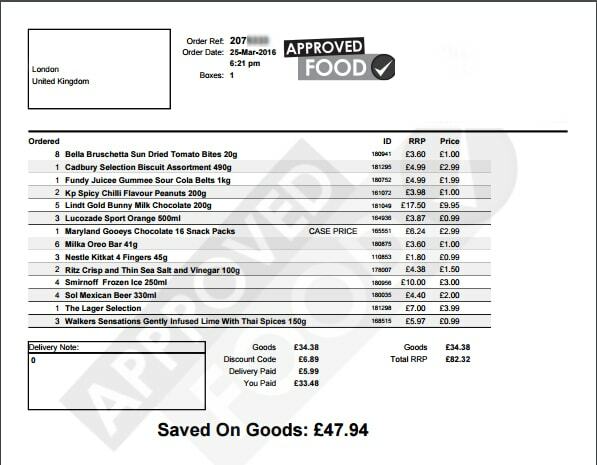 If you want to save 70% on your weekly food shop (and I seriously don’t know anybody who wouldn’t) as well as do your bit to reduce food waste then start shopping with Approved Food. 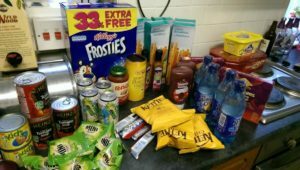 For more tips on reducing the cost of your food shop then have a read of this post.